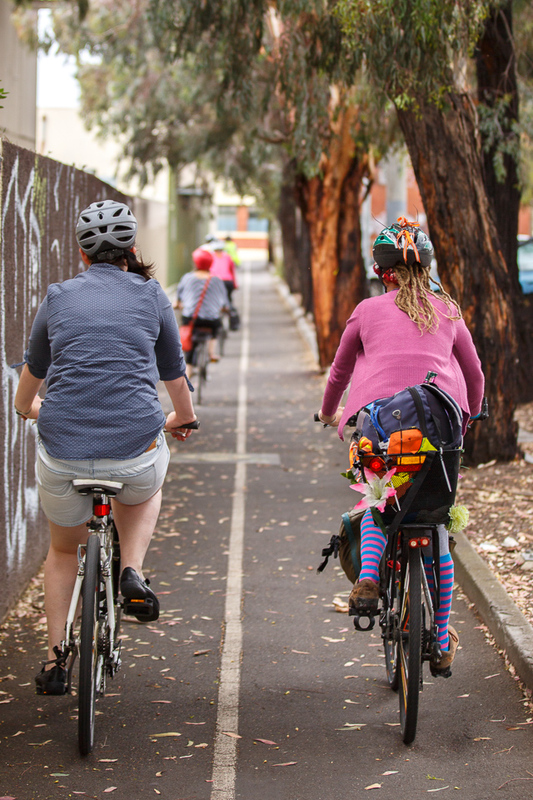 The City of Moreland is going to LightenUpfield and The Squeaky Wheel is coming along with some cyclists to join the party. LightenUpfield is the first of what is destined to be an annual temporary light activation event on the Upfield corridor, hosted by ProjectorBike and featuring short films. Join The Squeaky Wheel on the MoreArt DuskRide, explore the art and activities on the way and end up at the MoreArt Bloc-Party with Cuban music and drinks at Jewell Station. A full DuskRide program is awaiting!